We continue our compilation of all of 2011’s best-books-of-the-year lists and awards into one sortable Excel spreadsheet at Blogging for a Good Book. We’re happy to present the ABBC, version 3.0. Since the release of version 2.0, Newsweek, the Vancouver Sun, New Statesman, Boing Boing, Indigo Bookstores, the Independent, ALA’s Notable Books, RUSA’s Reading List, the Huffington Post, USA Today, New Yorker, Gawker, the Morning News, Cuyahoga County PL, the National Book Critics Circle Awards, Boston Globe, Bookreporter, Booklist, Stevereads, the Left Coast Crime Awards, The Nation, Los Angeles Public Library, Flavorwire, Bookish, and the Village Voice have been compiled. 254 additional 2011 titles have been added, raising the total of books for which we’ve found mentions to 1824. 62 sources have been compiled. To date, Jeffrey Eugenides’ The Marriage Plot has the most mentions among fiction publications with 30 to date. Joan Didion’s memoir Blue Nights has the most mentions for a nonfiction work so far, with 22. Download the full spreadsheet to see how all of your 2011 favorites rank or to explore your favorite genres. We’ll continue to post updates here every couple of weeks. For analysis of the books at the top of various genre and subject categories, please wander over to Book Group Buzz and search for ABBC entries there. I’ll be presenting at the annual American Libraries Association conference in Washington DC on Monday, June 28th at 10:30. The panel is called “Science Fiction: Past, Present, and Future” and also features professor Eric Rabkin (talking about the history of the genre) and author and futurist Cory Doctorow (talking about where science fiction is going). My portion of the panel will focus on practical advice for librarians in working with science fiction and fantasy readers. The following link contains the notes for my presentation, including ideas about who science fiction readers are and are not, basic ideas for collection development in SF, ten ideas for SF programming at your library, recommended science fiction writers for readers with various subject and genre interests, and list of other classic SF writers, YA and juvenile SF writers, and up and coming SF writers. You will see some new features in Blogging for a Good Book coming in 2010. Beginning on January 2nd we will offer a weekly post called The List. Each Saturday one of our editors will post a brief list of titles that are related to each by subject, appeal, or some other strand. We hope that our readers will contribute additional titles to these lists using the comments feature, expanding the offerings to the reading community. Beginning in January we will have a link in each post that allows readers to easily share BFGB posts on social networking sites like Twitter, Facebook, Digg, and many others. This feature will also make it easier for readers to share posts via email and to bookmark favorite posts in Google Bookmarks or Delicious. We are excited about the new opportunities here to interact with our readers and to continue to support the community of readers, and we look forward to an exciting and reading-filled year in 2010. The library is excited to announce our new collection of downloadable titles for audiobook listeners. These titles are compatible with most digital audio players, including iPods. The collection was purchased through the generosity of the Friends of Williamsburg Regional Library. To access the collection you will need an active Williamsburg Regional Library card. Titles can be located in the WRL online catalog or from the MyiLibrary page. Titles checkout for up to 28 days, and you can place holds on titles that are checked out to another WRL user. The initial collection consists of a mix of fiction and nonfiction titles, including both bestsellers and classic works. For questions about this new collection, please stop by the Reference Desk at either library, call us at 259-7720, or IM us (Yahoo, Google, AIM, and MSN screen name InstantWRL). We are excited to announce that Blogging for a Good Book is the winner of the 2009 Louis Shores/Greenwood Publishing Group Award given for excellence in book reviewing. We are honored that the committee noted that “Blogging for a Good Book serves as a model for book reviewing of the future.” We thank the committee for selecting us for the award; we thank the writers here at Williamsburg Regional Library who have taken the time to craft thoughtful and entertaining reviews; and we also thank the community of readers and commenters without whom BFGB would not have a reason to exist. For full text of the award information, see the RUSA blog. Which books were really the best of 2008? That’s a very subjective question, but to make it a little less so, I’ve compiled a unified list of the best books of the year as named by 70 different review sources and award nomination lists. The unified list shows the number of votes received by each book and contains tables for general fiction; mysteries, thrillers, and action novels; speculative fiction; historical fiction; romance; inspirational fiction; young adult fiction; poetry; graphic novels; narrative nonfiction; biographies and memoirs; and how-to nonfiction. To see the full list, download the Excel spreadsheet at http://www.wrl.org/bookweb/best2008.xls. A bit about the unified list: which category I placed a book in was my decision and may not agree with yours. I only included books first published in the US in 2008 (although I may have inadvertently included a few reprints, 2007 books, or books published only in Britain.) The Dewey numbers listed in the nonfiction lists are based on where Williamsburg Regional Library chose to catalog the book. Books we don’t currently have in our collection don’t show a call number (I may add these later from WorldCat, but for now, you’re on your own!) The tables are sorted first by number of votes and second by title, but if you download the spreadsheet, you can re-sort them as you wish. The sources are listed in the last table of the spreadsheet. For the most part a mention in a list or a nomination for award counted as one vote, although I’ve noted a few spots where I handled the votes differently. Such lists are never entirely fair: Any reviewer can only read a few of the thousand of books publishsed each year. Some books just receive more publicity than others or are more likely to be read by the kind of people who review books. If you’re a fan of lighter fiction, genres like romance, inspirational, or urban fiction, it’s hard to find lists of a year’s best works. The same is true for many nonfiction categories: political works, biographies, essays, memoirs, and histories are well-represented and cookbook lists aren’t hard to find, but subjects such as self-help, religion, sports, and entertainment rarely make it onto the year-end lists. But by adding up the number of votes from as many diverse review sources as I could find (and I praise the folks at the Readers’ Advisor Online Blog and Largehearted Boy for compiling lists of the lists), I hope I’ve given a slightly more fair look at the most-praised books published last year. Which books were the big winners? I may still add a few more sources to the list as they come out or as I find them, but here are the top vote-getters so far, which I’ll list without commentary. For the full list in all categories, download the spreadsheet. Do you agree with the critics, literary hoi polloi, and blogerati? There’s only one way to find out: Go read some of the books. Enjoy the list! Williamsburg Regional Library is the only Virginia site hosting Philip Roth’s online discussion of his new book, Indignation, on September 16. If you are interested in free tickets, please call the Adult Services desk at 259-4050. I read Sinclair Lewis’ It Can’t Happen Here many years ago, so when Roth published Plot, it was natural for me to pick it up. Honestly, I hadn’t read anything by Roth since a college course that included Portnoy’s Complaint, which I admired for his ability to capture a tone not easily maintained – and, of course, the surprise ending that I’m sure was the talk of the town when the book was first published. I was (and still am) intimidated by his reputation and kept finding reasons not to go back to his work. That’s why The Plot Against America surprised me, and reminded me that authors don’t become great when they can’t write. It is, simply put, an alternate history of the United States. 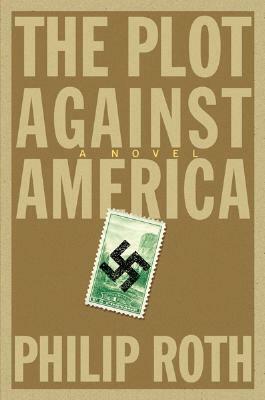 Instead of Franklin Roosevelt winning re-election in 1940, Charles Lindbergh, aviation pioneer, celebrity, and vocal admirer of Adolf Hitler takes the White House and begins to implement his own solution to “the Jewish Problem.” Agreements with Germany and Japan remove international considerations from the stage, allowing Lindbergh to gradually introduce friendly-sounding legislation aimed at breaking up Jewish families and communities. To the seven-year old Philip Roth (the adult author names his youthful protagonist for himself, and surrounds him with relatives that share names with the writer’s family), Lindbergh’s election is astonishing – he has never known any president other than Roosevelt, who is admired in the boy’s home. The shelter of home and neighborhood suddenly looks fragile as the adults around him begin to react to Lindbergh’s programs. The boy starts to see the immediate effects, including his mother taking a job to send escape money to Canada, his father losing his job, his brother signing up to work on a Kentucky tobacco farm, and his cousin going to Canada to join the fight against Germany. The reader continues the story with a growing sense of unease that, like the cumulative effects of public anti-Semitism, climaxes in the realized fear of assassinations and pogroms throughout the United States. The Roth household is affected by internal strife, but when violence does erupt in other parts of the US, the family pulls together. The novel ends somewhat abruptly, with a sudden and convenient resolution that puts the world back on track with 20th century history as we know it. I wondered if Roth did that because the consequences of a real extermination of American Jews was too awful to contemplate or too difficult to envision in the confines of a novel; I still wonder if he did it deliberately to jar the reader back into this real world with a newfound sense of how easily tyranny and oppression can arise even in a supposedly open and tolerant society. As with American Pastoral, the reader is also left wondering what course of action would head off these events, whether an individual or group could hold off chaos long enough for people to rethink their prejudices, or whether anyone can consider themselves immune to social upheaval. By not answering those questions, Roth forces the reader to decide for himself. Perhaps not the most satisfying ending, but truly difficult problems rarely have simple solutions.